Acacia Swimwear introduces their 2017 collection featuring supermodel, Marloes Horst. 2017 is designed for the individual woman – there is something for every body. The inspiration for the 2017 collection comes from yesteryear with the revival of the gingham check, block prints, and our signature Hawaiian vintage florals. We really love the new collection and having one of our favorite models wearing the pieces is an added bonus! Our absolute favorite piece is the Ehukai-Pineapple Mesh! Stunning! The brand’s signature style is a fuse between the perfect low-cut Italian bikini and the classic Brazilian fit. Basically everything we love! 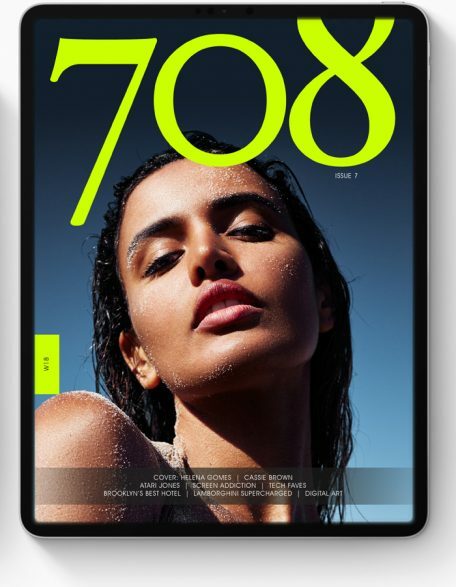 Acacia swimwear has been feature in a swath of magazines, such as Vogue, Harpers Bazaar, ELLE and now 708 Magazine! Check out a few our swimsuit favorites. The Sexiest Lifestyle Print Magazine featuring the hottest diverse women around the world! ← i.am+ BUTTONS Bluetooth Wireless Headphones thinks different with magnetic clasp feature. She’s the perfect fit for Acacia swimwear! Love it! W18 Issue 7 – Download Now!